The Sports Office client Atlanta United FC have been crowned MLS Champions 2018. Atlanta – who also won the Eastern Conference – secured the title with a two-nil win against Portland Timbers. The MLS club has used The Sports Office performance management system for elite football (The Soccer Squad) for two seasons. The system supports United’s First Team and Academy and helps the organisation optimise all aspects of performance and preparation. The Sports Office systems for elite football provide a range of functions to support performance management; with extensive modules for coaching, medical, conditioning, scouting and administration. The centralised system includes features to support all departments within a professional club. Features also include video analysis, depth charts and session planning. The Sports Office’s Soccer Squad successfully supports senior management and players through a centralised hub. It allows for enhanced communication and athlete management through the use of The Manager’s App and The Sports Office A.P.P. Read more about Atlanta United FC ’s experience with The Sports Office here. Intuitive software is only half of what The Sports Office provides to the World’s Best Sporting Organisations. It is our exceptional service that has enabled our clients to quickly implement and learn how to gain maximum benefit from the performance management software. A dedicated team of Client Managers are the main point of call for all queries. They take great pride in demonstrating each and every feature developed over the last decade. Some of this support is completed remotely, but the TSO Client Managers also love to ‘go on tour’ and visit their clients around the world from time to time. A recent 10-day trip sent Carl Pomfret and Chris Tuson, Client Managers across the ‘Pond’, firstly to Toronto, Canada and then into the USA. 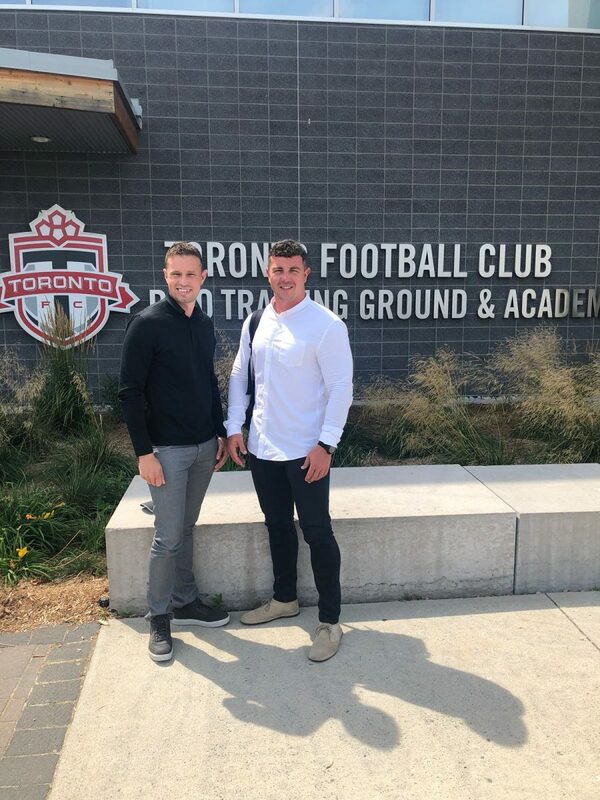 Chris and Carl flew out to Toronto, where they spent the first five days of the trip with two existing Sports Office Clients, Toronto FC and Toronto Maple Leafs. Toronto FC has been using the system for 4 years now, and the Maple Leafs have completed 3 full seasons maximising their use of The Sports Office software. So, the Client Managers spent their time on this trip to re-educate the clubs on various aspects of the system. Toronto FC approach performance optimisation through one system for the entire club. This helps them to mirror essential data collection and report generation across the first team, also within their USL and the Academy programme. Each department was shown new elements to allow them to gain maximum benefit from The Sports Office systems. Moreover, on this visit Client Manager’s demonstrated 10 new reports for Toronto FC to improve their outputs from the system. 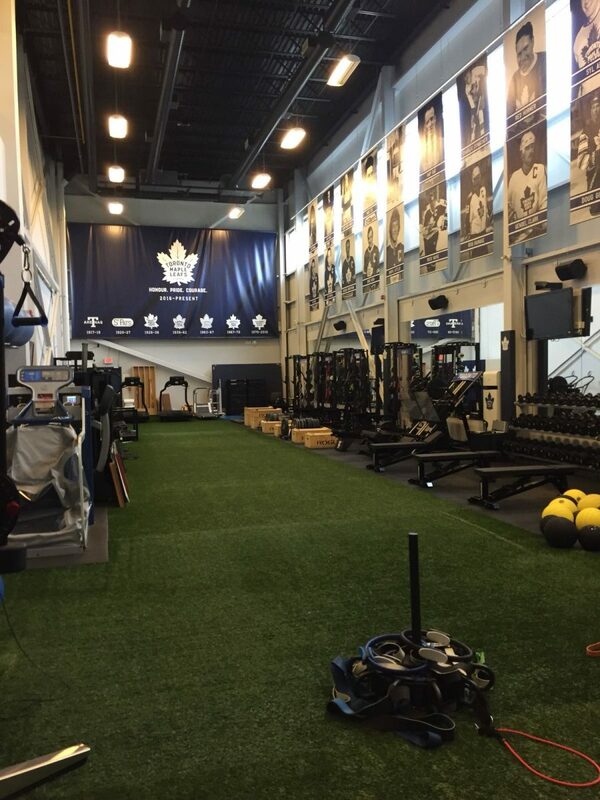 Carl spent some time with Toronto Maple Leaf’s Human Performance department, where they got to explore some principal elements of reporting and analysis. They got to analyse fundamental data over the last season and had a look at ‘crunching’ this with previous data, to look for patterns and trends. Using the highly sophisticated ‘Report Engine’ and automated reporting capabilities. The Sports Office are able to deliver real-time reports to key staff. New developments from The Sports Office have also sparked interest across Toronto and Canadian Elite Sport. The Client Managers are currently answering these enquires and are demonstrating the software to prospective clients. Following their time in Canada, Chris and Carl flew over to New York. They too were accompanied by Managing Director, Andy Clarke on their visit to New York City FC, part of City Football Group. The Client Managers got to go to the Academy at the new training facility, Orangeburg. This visit, in particular, was a 3-day full configuration of the Football Squad system for the Academy. Chris, Carl and Andy spent time with each department as they introduced the system to staff and key personnel. They demonstrated how easily they can incorporate the system into their daily workflow. Also, departmental and player profile data was input into the system. This starts the collection of performance data under one centralised hub. NYC FC were also kind enough to invite the team to the Delta Sky 360* Suite in the Yankee Stadium. Here, they got to see NYC FC vs Vancouver Whitecaps FC. The final result was a 2-2, with New York goals from Jesús Medina and Valentín Castellanos. The Sports Office Client Management team are willing to go the extra mile for your club and squad. To maximise you clubs potential with The Sports Office, contact our Client Management Team to arrange a visit. The Sports Office presence in the North American market has been bolstered following a visit to the territory by its client management team, during which meetings with current and potential new clients were staged. 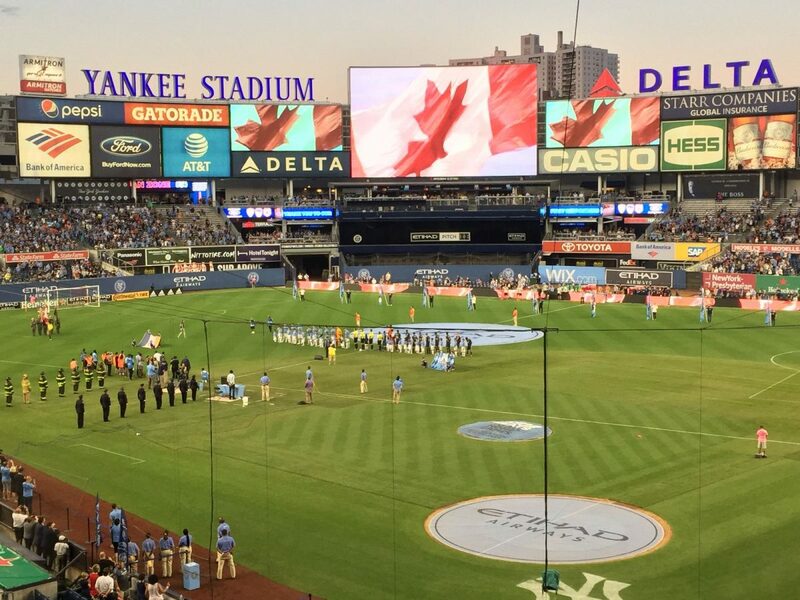 Clubs in Major League Soccer and the National Hockey League are already using The Sports Office performance management systems and key staff from these and other organisations were involved in the gatherings, which took place in both Canada and USA. As part of its commitment to the highest possible standards of ongoing support and service, the Sports Office team also delivered further training in the system’s latest functionality. The aim is to ensure all clients maximise usage and gain full value from the system, in areas including coaching, sports medicine, sport science, performance analysis, administration and recruitment. MLS team Toronto FC (pictured) are among the organisations in North American sport to use The Sports Office performance management systems. In addition to meetings with current clients in both the US and Canada, the Sports Office team also met with potential new clients, who operate in the MLS and the NBA. During the visit, a new client agreement was also reached with a leading franchise in the Canadian Football League. Among the company’s current clients are many elite sports organisations in other parts of the world. These include teams in SANZAR’s Super Rugby competition, the Australian NRL and European teams competing in the UEFA Champions League. The Sports Office’s dedicated software for elite football is currently also used by leading clubs in the Barclay’s Premier League, the Sky Bet Championship, the MLS and Australia’s A-League, as well as major football governing bodies, including the Scottish FA. Elsewhere in the world of elite sport, clients include the RFU, Aviva Premiership rugby clubs, leading equestrian organisations including the BHA, high-ranking professional tennis players, clubs in Rugby League’s Super League and professional cycling teams. The Sports Office continues growth in elite football. The adoption of The Sports Office’s online performance management systems, within elite football, has increased to such an extent that the company now supplies more than 20 leading professional clubs across the globe. Those using the system at first team level include several in the Barclay’s Premier League and Sky Bet Championship, as well as clubs in North America’s MLS and Australasia’s A-League. Phil Clarke, The Sports Office Managing Director, commented: “We believe this continued growth at the highest levels is a reflection of the capability, quality and reliability of our online performance management systems for elite, professional football. The Sports Office online performance management systems for football were created to meet the increasing challenges faced by practitioners involved in the sport at elite, professional level. The systems provide extensive functionality to support coaching, video-usage, sports science, sports medicine, scouting and recruitment, squad management and communication. They also allow the creation of truly personalised performance and development plans for players. The company works with more than 20 elite football clubs, competing in the world’s most high-profile competitions. Several major national governing bodies have also chosen to adopt The Sports Office. One of these is the Scottish FA, who use it throughout their structures, including for all their national teams and at all seven of their Performance Schools.